Our commitment to our clients, employees, shareholders, and communities is at the core of who we are. 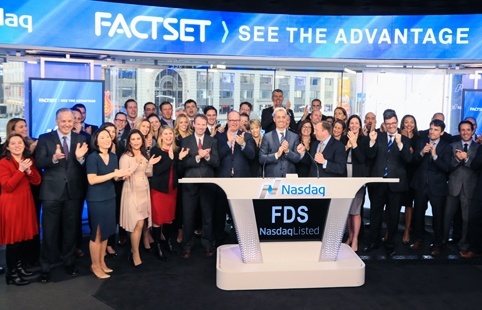 Through our 40 years in operation, our talented and dedicated team of FactSetters has built a strong record of growth by committing to providing best-in-class content, analytics, technology, and service to our clients in the financial industry. 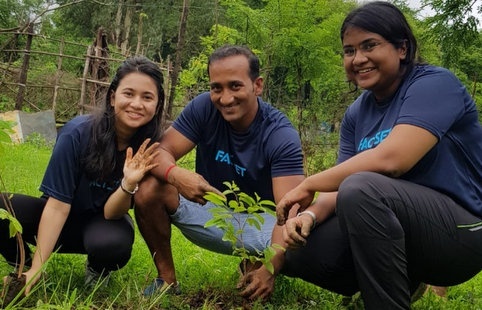 In each of our more than 60 global offices, one thing is clear: FactSetters worldwide have a passion for making an impact on our business and in our communities. 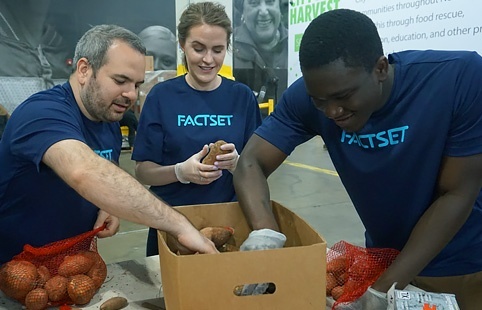 Corporate Social Responsibility has long been a priority for us at FactSet. We have always had strong corporate governance, and an industry-leading client-centric approach, and we’ve found ways to be meaningfully involved in our communities. I believe that FactSet, with our consistently strong revenue growth and increasing global footprint, has a responsibility to set a standard not just for what we do, but how we do it. Giving back to our communities is an integral part of our culture. 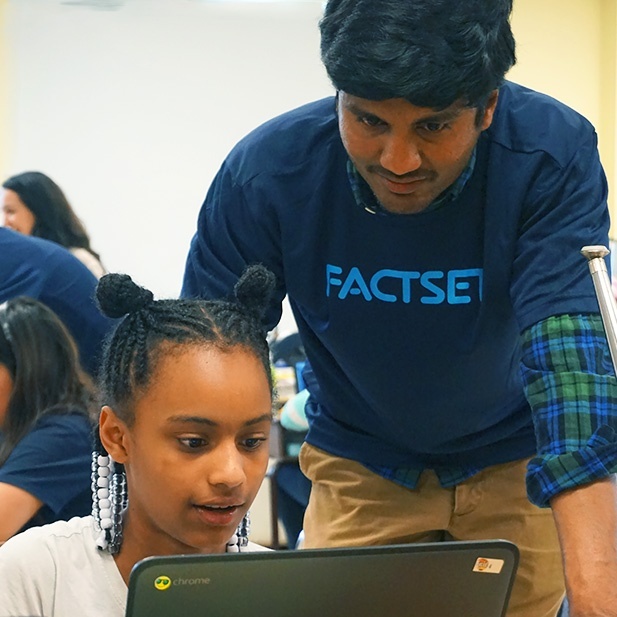 FactSetters have always driven our corporate social responsibility efforts, embracing volunteerism, giving, and sustainability initiatives. We believe that by combining our financial support with the talents and energies of our employee volunteers, we can truly create positive social impact. 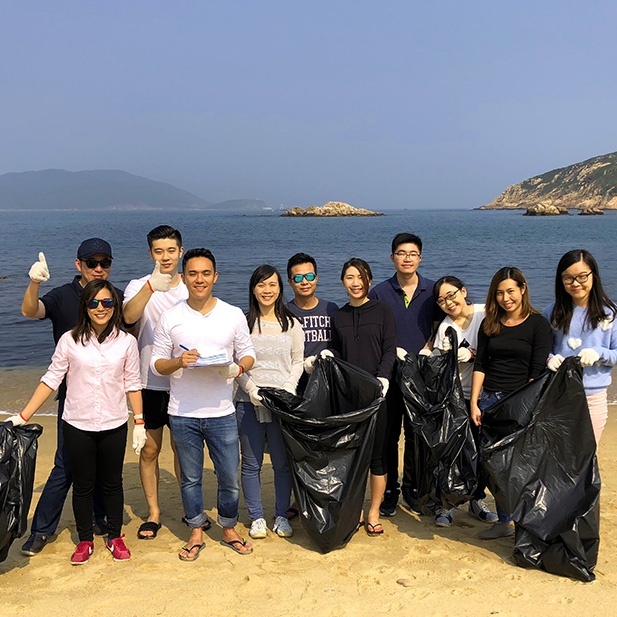 We work with our non-profit partners to develop projects within our pillars that are both highly impactful for our communities and engage our employees in meaningful volunteer opportunities. We seek out the best talent across the globe, creating an atmosphere where they can think creatively, contribute actively, and grow professionally within high-performing teams. 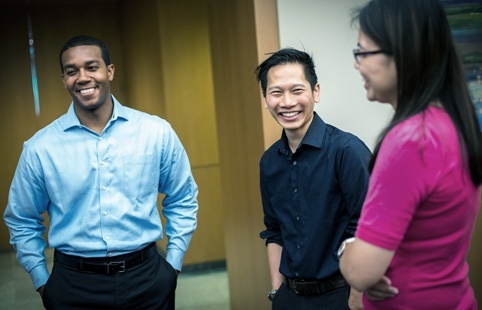 We have a diverse global workforce, and we do our utmost to foster an inclusive culture where all employees can bring their whole selves to work, contribute at their maximum potential, and grow in their careers. We want our employees to feel that their work is meaningful and has purpose. We give them a lot of responsibility early in their careers and empower them to find creative solutions that meet our clients’ needs. In return, we commit to creating an environment consistent with our values that supports their personal and professional goals. 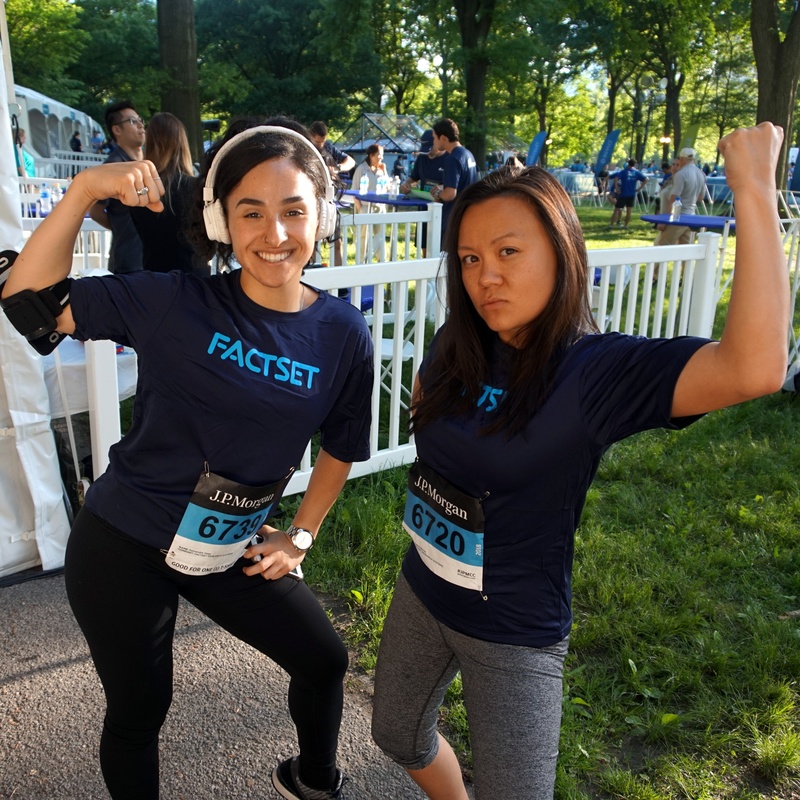 At FactSet, we are guided by our commitment to honesty, integrity, and ethical transparent practices. Our Board, which has 33% female directors, steers the course and our management has a long track record of growth. All employees and directors must abide by our Code of Business Conduct and Ethics, which outlines expectations for employees’ interactions with clients, vendors, shareholders, management, and colleagues. Equally important, it clearly states that employees are expected to report any potential violations of the code and that there will be no retaliation for such reporting. As a global business with a presence in more than 20 countries across six continents, we recognize that we have a responsibility to manage our own environmental impact. We approach sustainability in three ways: through our products, our business operations, and our volunteer work. We work with multiple leading ESG analysis providers and integrate their products into our solutions. These products and services allow our clients to access in-depth research, ratings, and analysis of environmental, social, and governance-related business practices of companies worldwide. In our operations, we integrate sustainable business practices at every opportunity. Our 1.2 million square feet of leased office space presents a significant opportunity to reduce our impact on the environment, and in the year ahead we will go further and work toward improved benchmarking of our environmental impact, setting ambitious targets to further limit our impact. Read more about our commitment to the environment in our sustainability statement. We strive to act as trusted partners with our clients, providing deep industry knowledge, insightful analytics and unique content, data security, and round-the-clock outstanding service. Our clients see us as part of their team. We continuously look ahead to advance the future of our industry, relentlessly seeking value for our clients, because their success is our success. 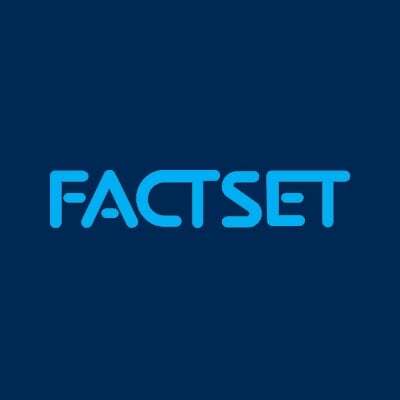 FactSet is built on the values that have guided the company since its founding in 1978. Our founders’ principles continue to drive how we do business today, and those beliefs have shaped the norms of our culture. As big as we grow, as far as our reach, and as successful as we become, we stay connected to our clients and to each other. 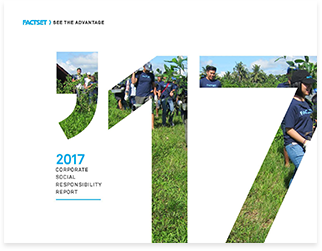 Our first CSR report represents the next step in our evolution as a corporate citizen. It both highlights our recent achievements and sets a trajectory for what we hope to achieve together in the future. We are not currently accepting sponsorship or grant funding requests.